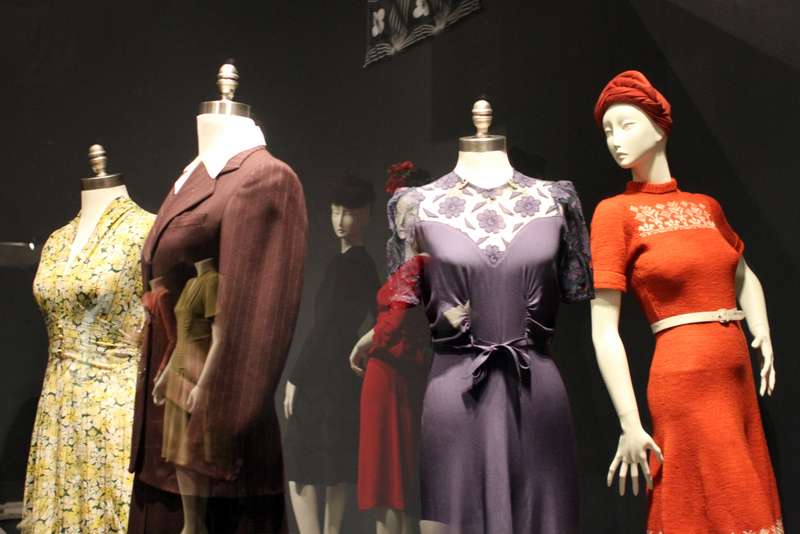 The exhibition features 85 garments of haute couture from Berlin, Paris, London and New York, as well as Canadian and Vancouver-made clothing that reflect how WWII changed society and portray a transformation—from womanly to manly and back. 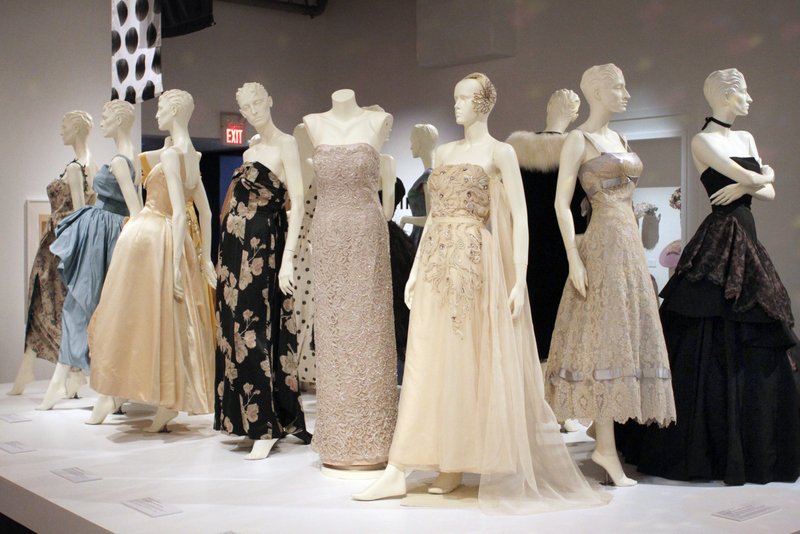 Highlights include: a wartime wedding dress made from a parachute, Boeing Vancouver overalls, clothing produced during war-time restrictions in Berlin and in Canada, as well as designs by renowned European couturiers, including Christian Dior, Cristóbal Balenciaga, and Elsa Schiaparelli. 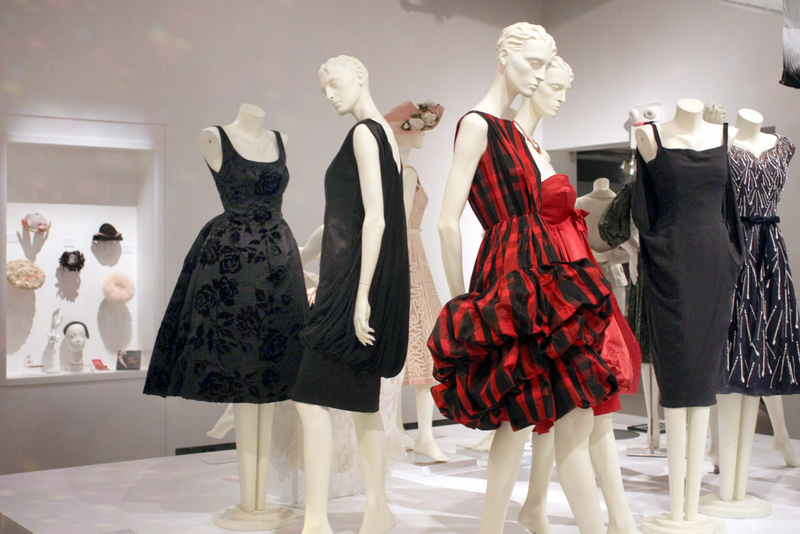 The exhibition includes a dress from Ceil Chapman, who produced high-quality, French-inspired garments. She was reportedly Marilyn Monroe’s favourite designer and counted Elizabeth Taylor and Mamie Van Doren as famous clients. 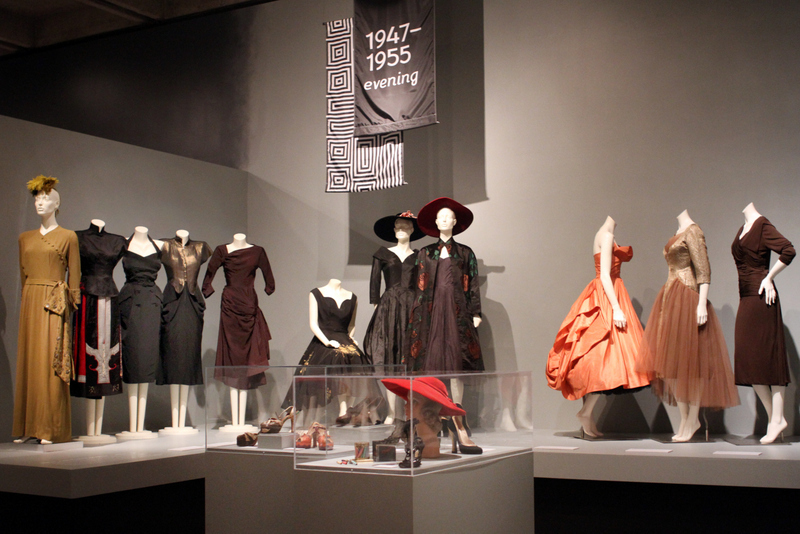 Lauren Bacall’s shoes, Peruvian soprano Yma Sumac’s dress suit and a suit from Miss Germany 1955 are also on display. 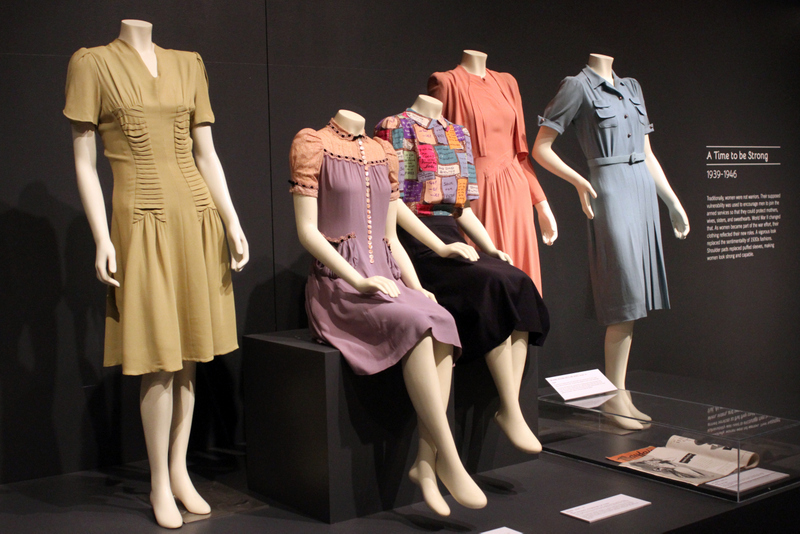 Canadian design treasures include Montreal-made dresses by Nan Taylor (1943) and Eve Lyn (1952). Nan Taylor’s blue dress was advertised in Mayfair magazine in September 1943. It sold for $40 in major cities across Canada. Weddings occurred in great numbers during and immediately after the war. During the war, ornate, lavish wedding dresses were discouraged as being frivolous and unpatriotic. This wedding dress, reportedly worn by a bride in Aldergrove, B.C., is made from a parachute. In the centre front of the skirt flounce, you can see the flat-felled, reinforcing seam used to strengthen the original parachute. Sentimental 19th-century details such as lace yokes and puffed sleeves were universally popular in endless variations. The German ADEFA label denotes that the manufacturer subscribed to an association of garment makers that supported the government’s insistence that consumers purchase only clothing made by Aryan hands. The association was established in 1933 and dissolved during World War II. ADEFA is an acronym for the German Arbeitsgemeinschaft deutsch-arischer Fabrikanten der Bekleidungsindustrie (Workers’ Association of German-Aryan Manufacturers of the Clothing Industry). Lore Maria Wiener redesigned traditional Chinese garments to create a modern, fashionable ensemble. 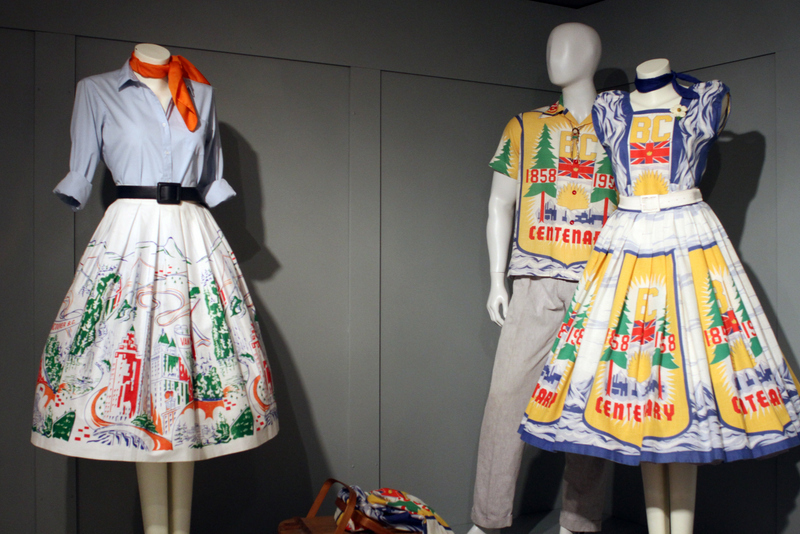 A classic afternoon dress of the 1950s, the outfit was originally in the wardrobe of the wife of the postwar West German ambassador to China. 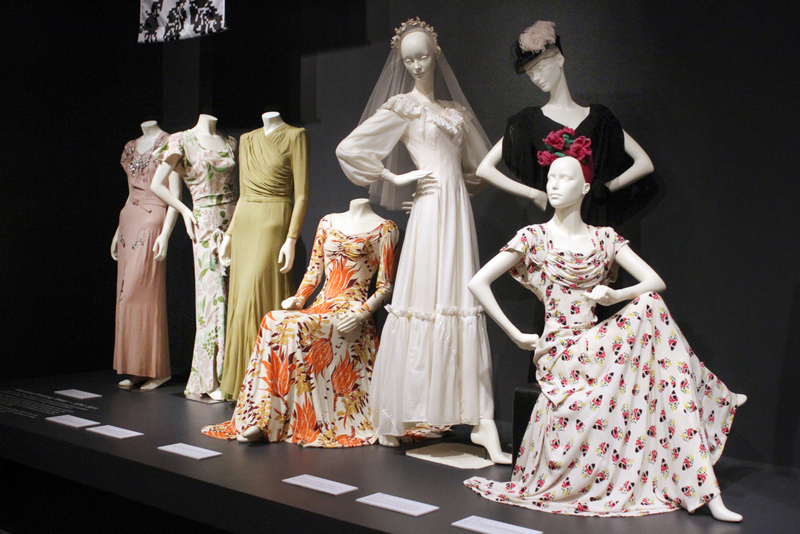 Wiener was born in Bremen, Germany, and trained in couture design in Vienna. In the early 1940s, she and her parents escaped to Shanghai, where she opened her first salon. The family survived the Japanese occupation, but the 1949 Communist revolution uprooted them again. They came to Canada and re-established their business on West Boulevard in Vancouver, c. 1951. 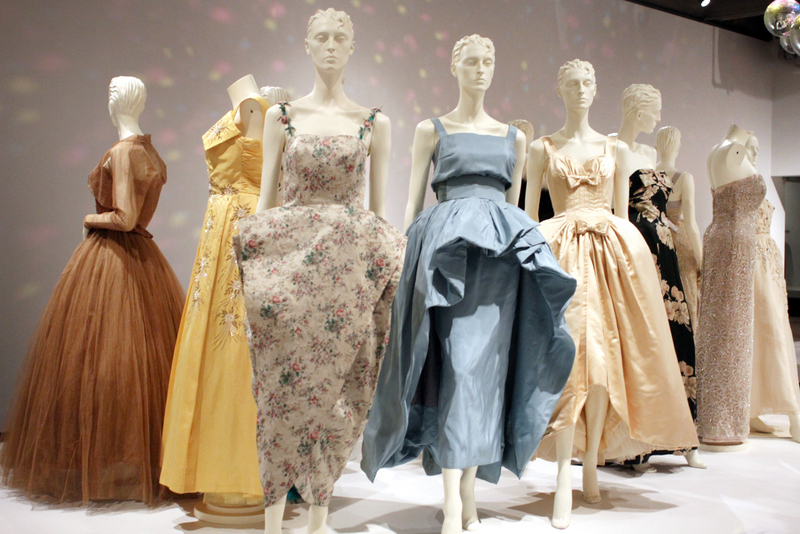 Even though 1950s styles were conspicuously feminine, they were sometimes quite stark and foreshadowed the boxiness of the 1960s. 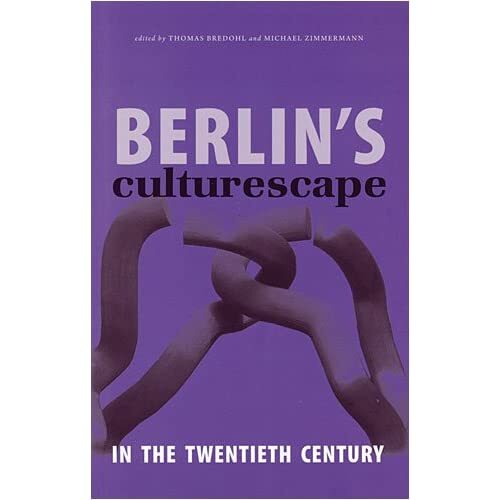 Designer Marie Latz was one of the few couturiers in Berlin able to successfully re-establish herself after the war. Her house opened around 1915 and closed around 1965. Her smartly tailored suit belonged to the famous Peruvian diva, Yma Sumac, who in the 1950s and 1960s enjoyed international popularity as a singer with a remarkable five-octave range. to be wasteful, indulgent, and impractical—but the younger generation viewed them as fresh, feminine, and desirable. highest level. 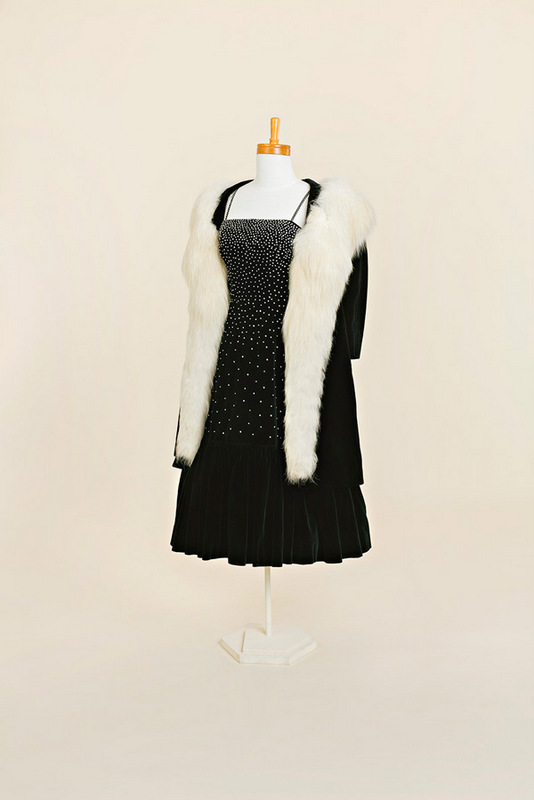 Her outfit features collet-set rhinestone crystals and a deep collar of fox fur. 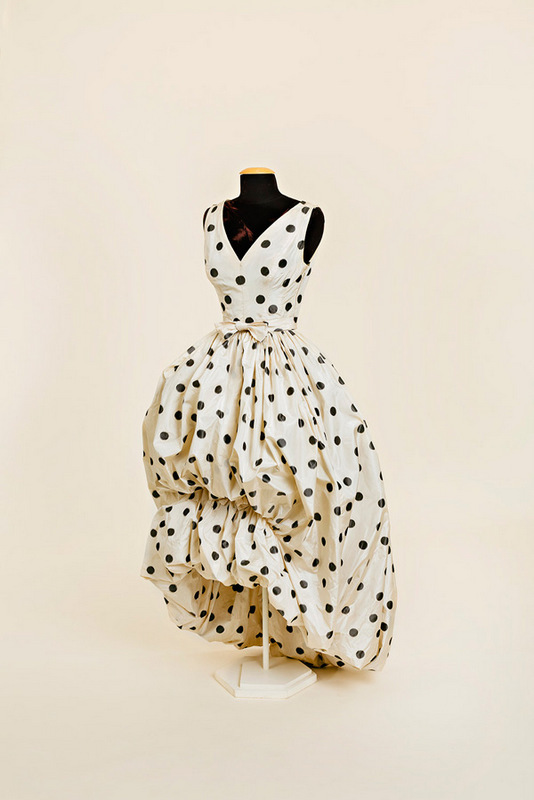 It was originally in the wardrobe of Charlotte Mueller of Berlin, who wore it to the Berlin Press Ball in 1955. 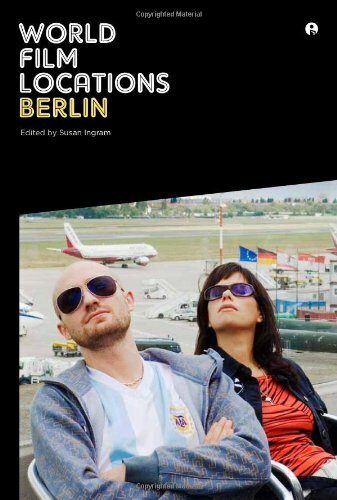 It was featured that year in Film und Frau magazine. 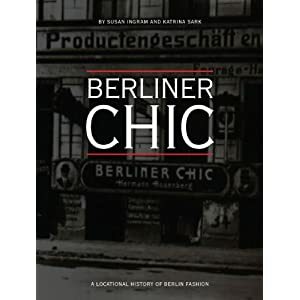 Heinz Oestergaard, known as the Dior of Germany, created custom-made and ready-to-wear designs. 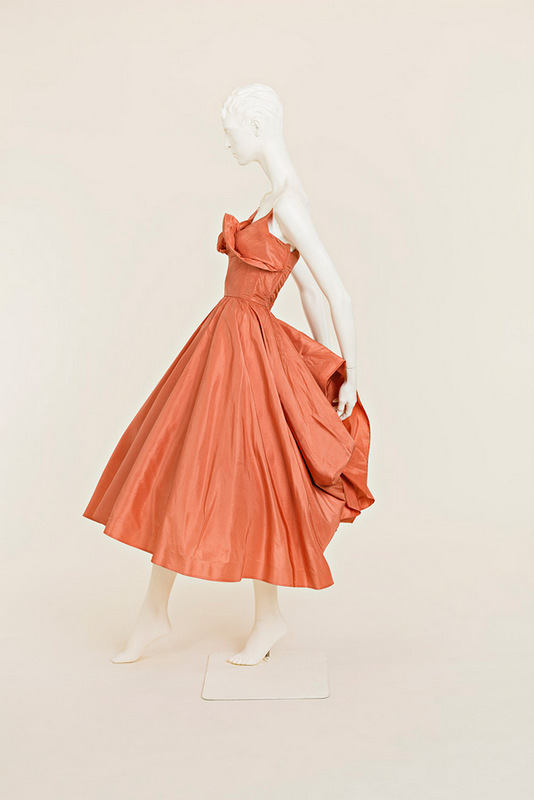 The colour of his dress, which appeared in magazines in 1958, was described as ‘cyclamen pink’. 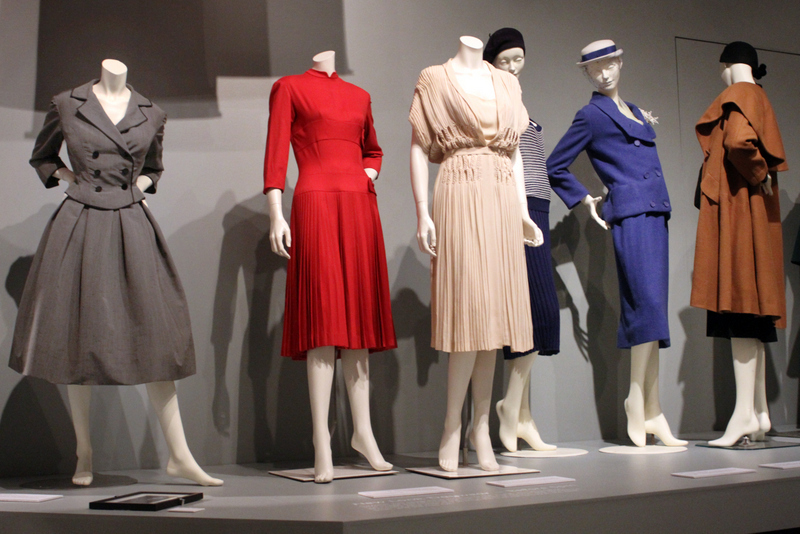 According to Sayers, “No era is better illustrated by an examination of its clothing than the period of World War II and the postwar years of recovery and rebuilding.“ During the war, fashion designers emphasized manliness; clothes were influenced by the need for practicality and economy. 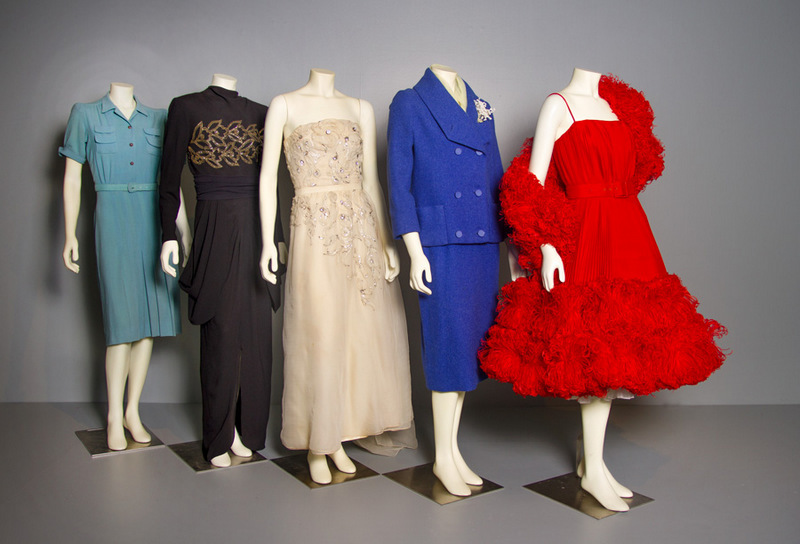 In peacetime, a womanly silhouette returned and then, in the 1950s, influenced by indulgence and amusement, designers made girlishness the rage. 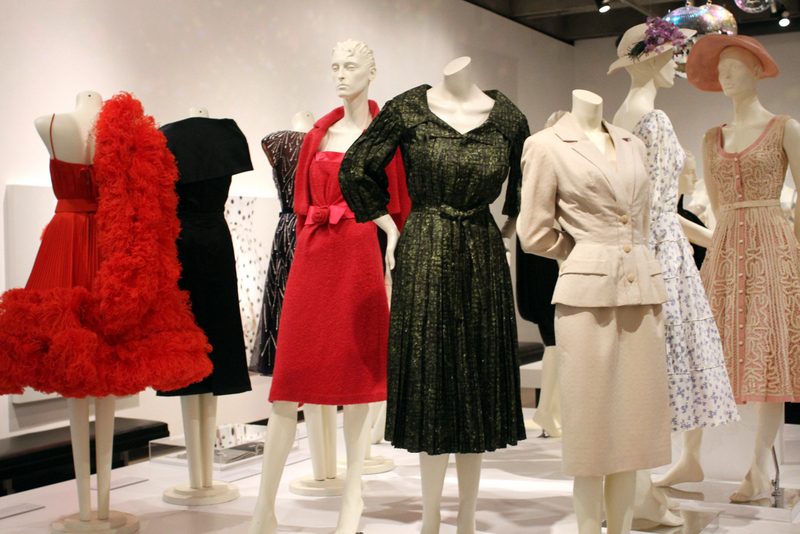 “In From Rationing to Ravishing, we tried to bring together a collection of garments and accessories that illustrate a variety of historical references,” stated Sayers, one of Canada’s pre-eminent fashion historians. 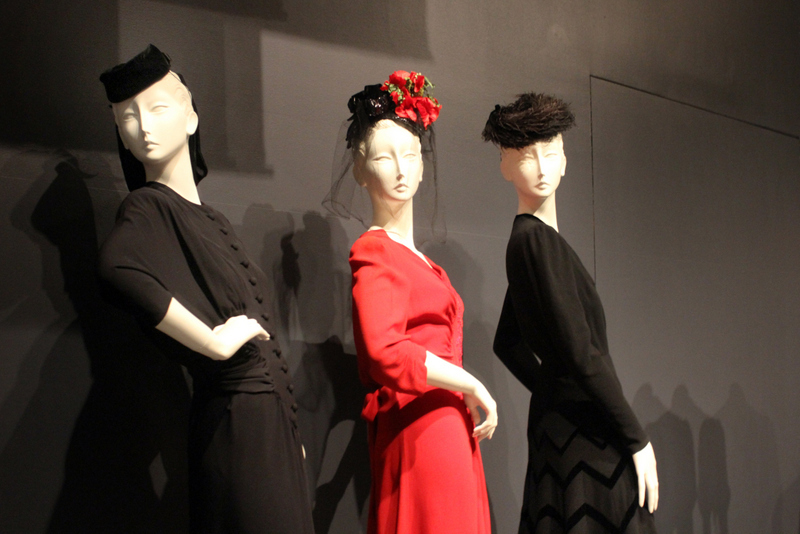 Claus Jahnke elaborated, “We chose the artifacts for their relevance, their appearance, and their stories.” This exhibition demonstrates how historical events shape our lives and our styles. dress as the peacock line. K.S. :How did the exhibition come about and how did you conceptualize it? C.J. 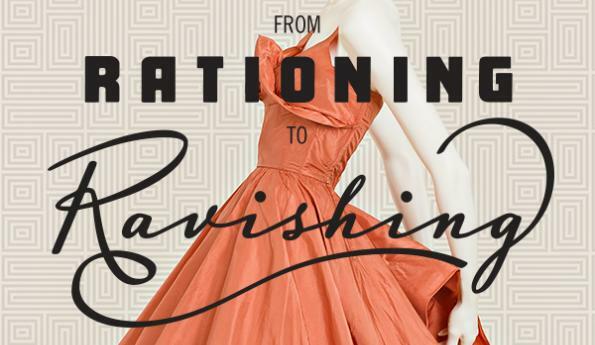 : The current exhibit is the follow up to our previous ones, starting with Fashion of La Belle Epoque then Art Deco Chic and now From Rationing to Ravishing. 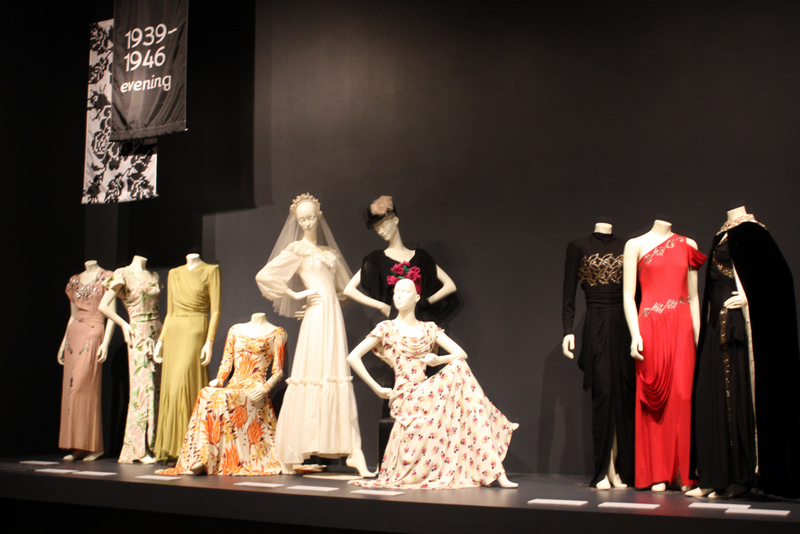 How long does it usually take to prepare for a fashion exhibition, and how did you select the pieces (other than chronologically)? The preparation time varies but it is usually a fairly lengthy process on Ivan and my part when It comes to the selection of the garments and then becomes a process of elimination, naturally we always want to show as much as we can but that isn’t possible nor is it logical. We choose garments etc., by their relevance to the subject and we always try to include garment from as many countries as we can as fashion is a universal language and we live in Canada so we like to make an exhibit as all inclusive as possible. Naturally we are limited to what we have in the collections. Over the last three exhibits which I mention we have generally chosen about four items from the collection of the Museum of Vancouver. What stories were important to you to tell through the clothes and accessories? We have found that it is always the stories which engage the public most. With most historical garments sadly there is no history, but often there is, and then also the history of the designer/dressmaker is often very intriguing. What stories have been left out? There are always more stories to tell and it is great when an exhibit such as R&R when visitor’s reminisce about their own histories or of their mother’s, grandmother’s,etc. How has the exhibition been received? Have there been any surprising responses? So far the response has been very positive, and unlike exhibits of Victorian or Edwardian garments the audience is often able to relate to clothing in a much more contemporary way in that they can see themselves wearing a lot of the items. Who are some of the important visitors so far? We have been delighted with the visit of Joanne Watkins the Directrice of the Museum of Costume and Textiles in Montreal. Also Julia Guillon of the Heritage Department of the House of Rochas in Paris was very delighted to see a hat embroidered with bees which she knew about from photos but had not seen an example of. And the fact that we had an original French publication showing the same hat. There was a lady at the opening who was thrilled to see the Heinz Oestergaard as a family member of hers had married into the Oestergaard family. Also we are thrilled that in February Jeanne Beker will be in Vancouver for a book launch of her parents book entitled Joy Runs Deeper – a memoir of their lives, surviving the Holocaust, and coming to Canada in 1948, with Rationing to Ravishing as backdrop. 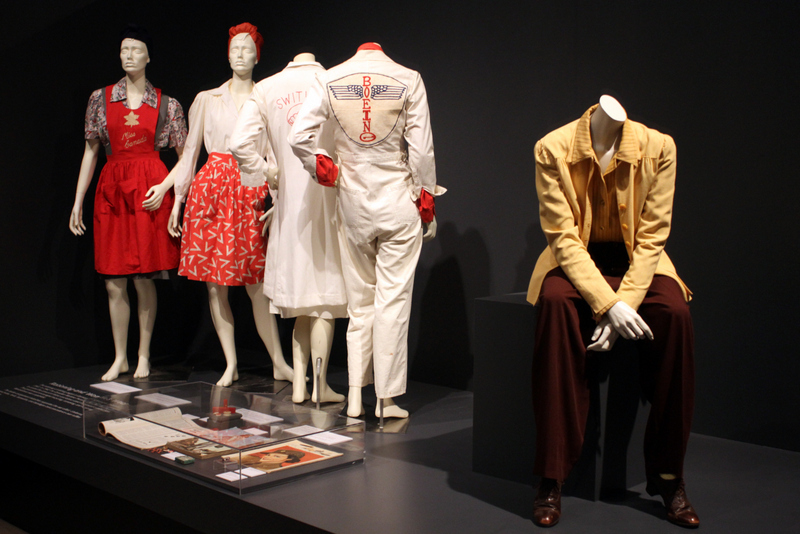 What role does fashion and fashion history play in a city like Vancouver? Vancouver as you know is still a young city and since the 1950s has grown exponentially to be a large city which is still finding its way in the world of fashion we have been fortunate with our decades of collecting that we share this with Vancouverites who are thrilled that we have such rich and diverse collections here in town. With our diverse multicultural background it’s really exiting to see how young designers have such a wealth of different influences to create hopefully unique west coast styles which can have a flavour of their own. 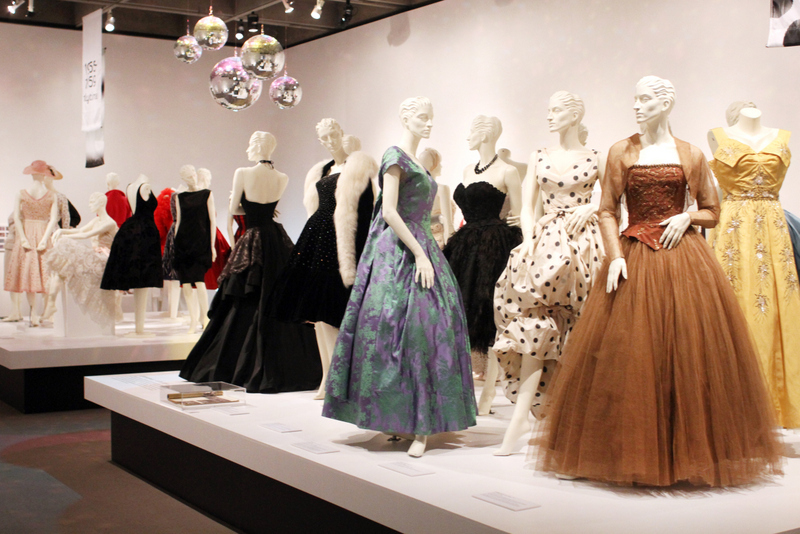 Have there been any developments in the Costume Society’s efforts to establish a fashion museum in Vancouver? What are the main challenges, and possible solutions? 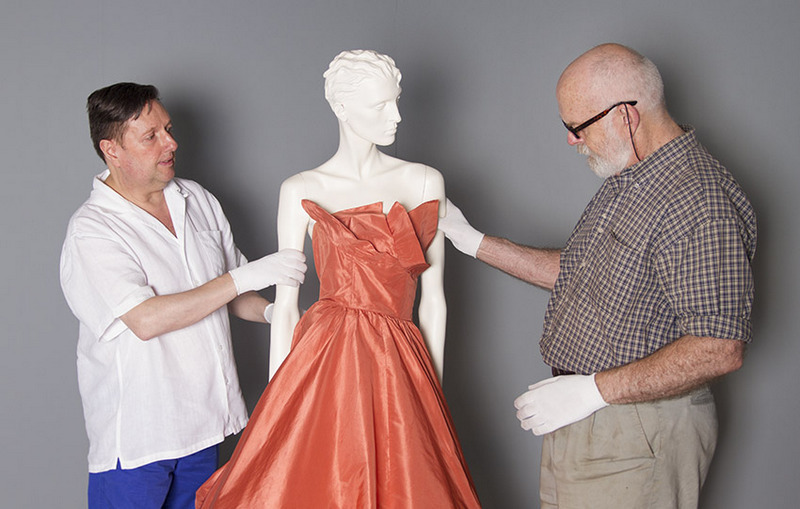 The Society of the Museum of Original Costume [SMOC] continues to move forward and the ongoing challenge is to find a permanent home not only for their collections which are housed at Hycroft [the University Women’s Club] but hopefully also other collections such as Ivan’s perhaps, mine and others’ in the community. What other projects are you working on or planning for the future? 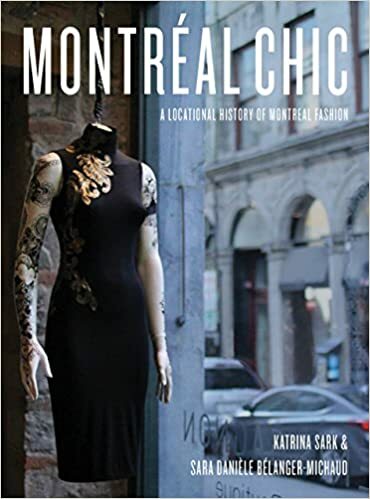 We are currently talking about working on a new project in conjunction with MOV on aspects of historical architecture of the city and fashions. This is all still very much in the preliminary phase so I can’t give any more specifics. 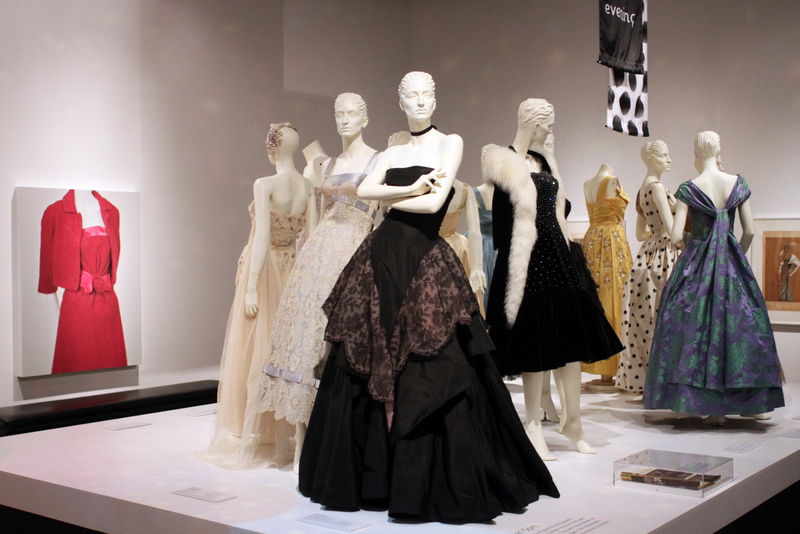 This entry was posted in Cities, Design, Fashion, Feminisms, Interviews, Montréal, Museums, Vancouver and tagged Cristóbal Balenciaga, Museum of Vancouver, The Transformation of Women's Fashion, Vancouver. Bookmark the permalink.